The school gives priority to pupils whose fathers attended. THE SUPREME COURT has dismissed an appeal alleging a teenage Traveller was discriminated against when he was refused admission to a local school. 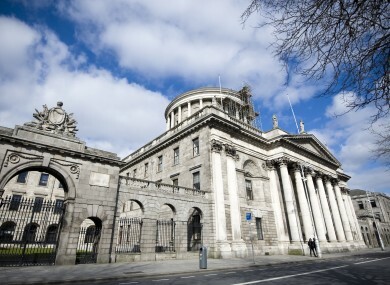 The unamimous judgment was made after the boy’s mother took a case against the Christian Brothers’ High School in Clonmel after it turned down his application for admission in 2010. Mary Stokes had originally lodged a complaint with the Equality Tribunal, who found in her son’s favour and awarded him a place, but the school successfully appealed the judgment in to Circuit Court and High Court. Two of the five Supreme Court judges ruled that an appeal to the Supreme Court was not appropriate. The other three decided that there wasn’t sufficient evidence to carry out a full analysis of the case. In its judgment the Supreme Court found that the application of the particular disadvantage test had been wrongly applied by both the Equality Tribunal and the Circuit Court. The judge’s said that the ruling related to how the Equal Status Act was enforced. This suggests that it does not create a precedence about a school’s admission policy. Mary Stokes made a complaint over the school’s policy of giving priority to students whose fathers were past pupils of the school which she said discriminated against her son, John. She says the policy disproportionately affects Travellers because they are less likely to have a father who attended any second-level school. Statistically speaking, around 10% of older Traveller men attended second-level school, the Irish Traveller Movement says. Counsel for Mary Stokes said that his side were seeking a declaration that the boy was subject to a particular disadvantage which gave rise to indirect discrimination, which led to him being excluded from the school. They were not, however, seeking for the boy to be admitted to the school. The Irish Human Rights and Equality Commission has said follwoing the ruling that many of the calls they recieve are from parents who are “confused and frustrated” by school’s admissions policies. “The difficulty of combating such alleged discrimination on an individual basis is evident from the Supreme Court Judgment,” says the IHREC’s Emily Logan. Email “Supreme Court reject appeal alleging discrimination against Traveller student”. Feedback on “Supreme Court reject appeal alleging discrimination against Traveller student”.